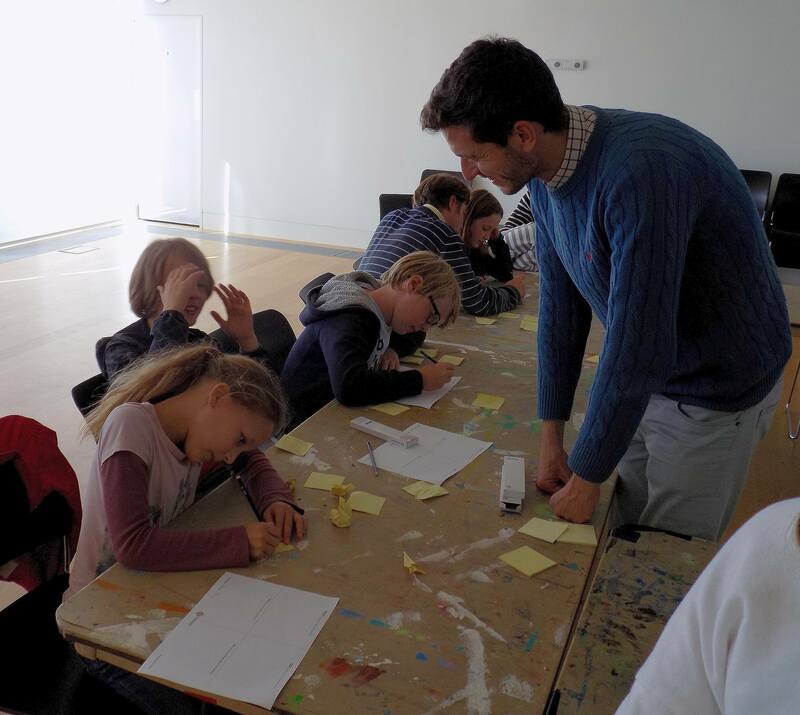 Our final workshop was at the De La Warr Pavilion in Bexhill on Sea, which was the perfect venue to finish the tour. 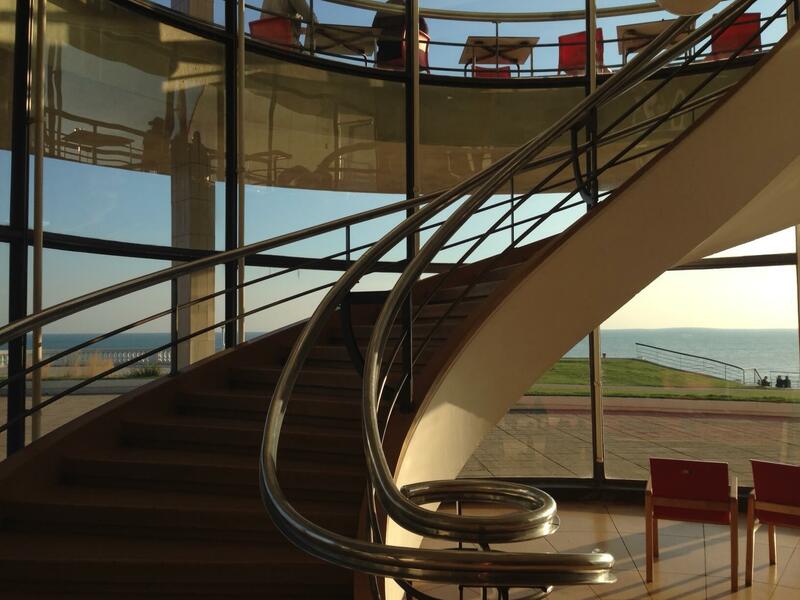 The De La Warr Pavilion was commissioned by Earl (you guessed it) De La Warr to help the seaside town flourish into a cultural and community hub and over the years it’s done just that. 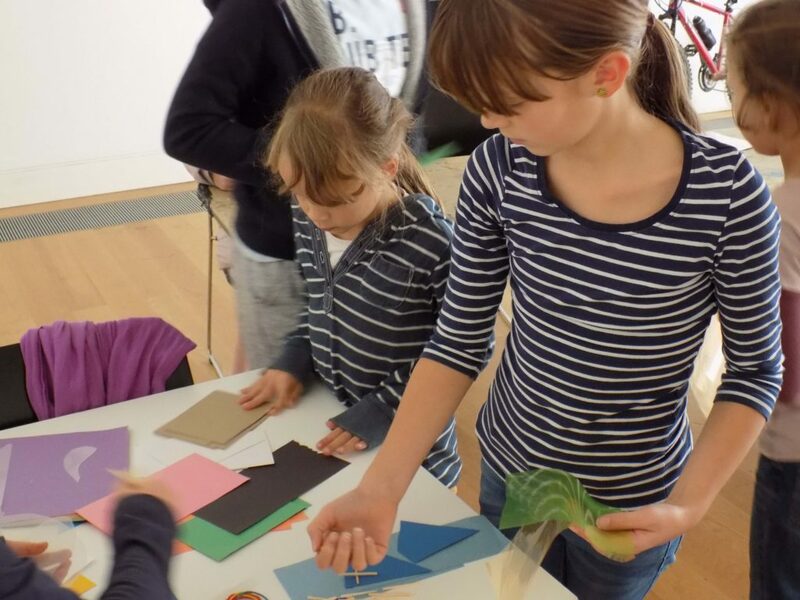 The Pavilion is now both a place for the local community to meet and an increasingly high profile gallery with an exciting contemporary programme. It is also a gorgeous example of modernist architecture with light streaming through the huge windows into the cafe, studio, art gallery spaces and central spiral staircase. This staircase even inspired one of the entries to the competition – if you go to the ‘Your Pavilions‘ page can you guess whose it was? 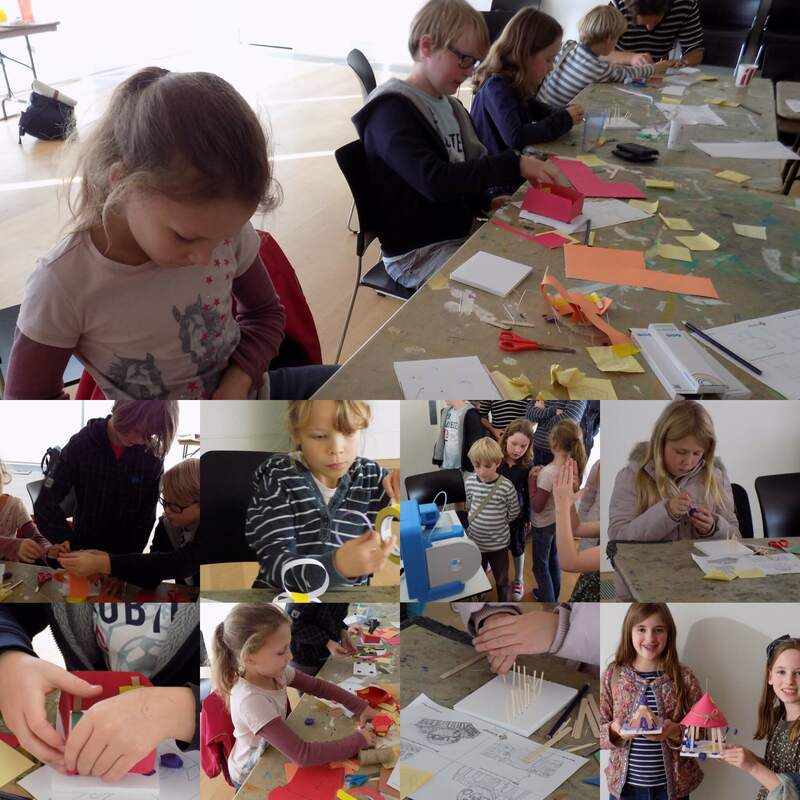 Living up to their surroundings Rose, Poppy, Sasha, Roman, Ivan, Matilda, Sebastian, Dolly, Minty and Talea came up with some fabulous Pavilions during the workshop, as you can see below and on the ‘Your Pavilions’ page. 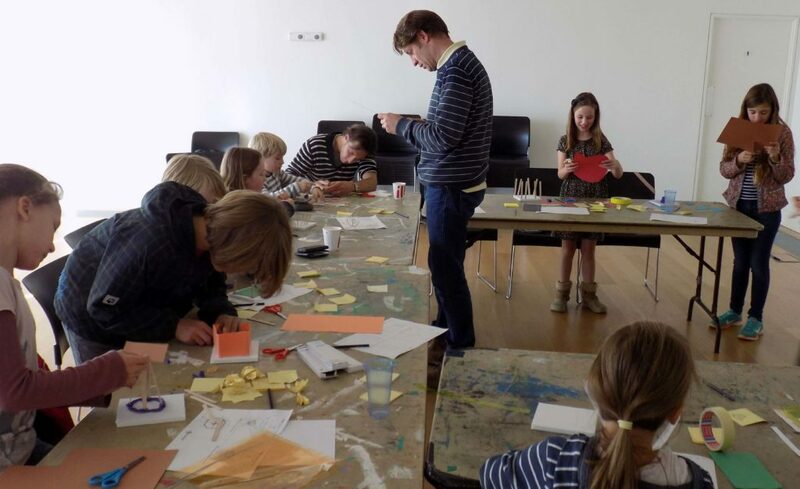 We’d like to thank them and everyone who’s taken part in the workshops for their fantastic contributions. Judging continues a pace. Stay tuned to see who the lucky winners and runners up are. Roman describes his design to Dejan. Sisters Sasha and Poppy get stuck into the materials table. Dolly starts to make her model. 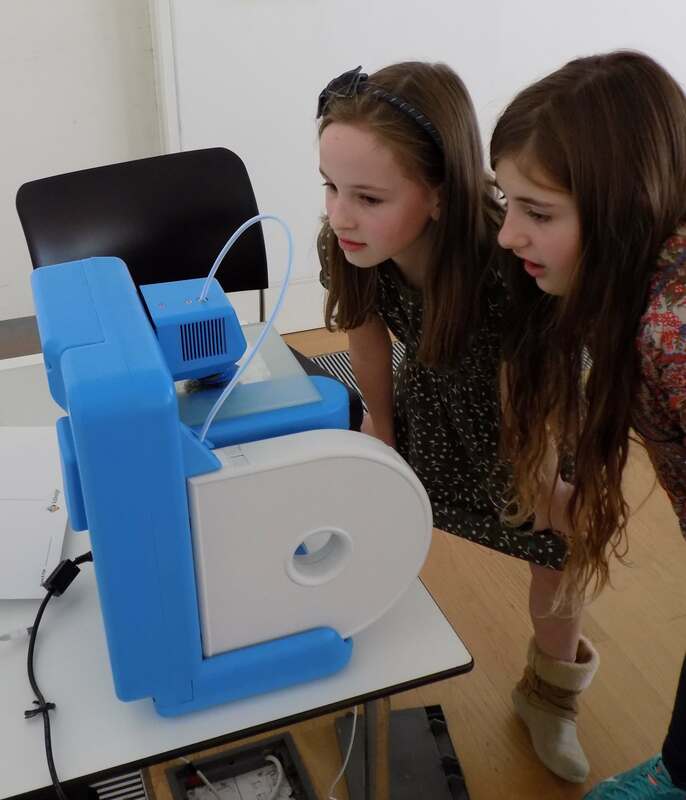 And then watches her winning design being 3D printed with sister Minty. 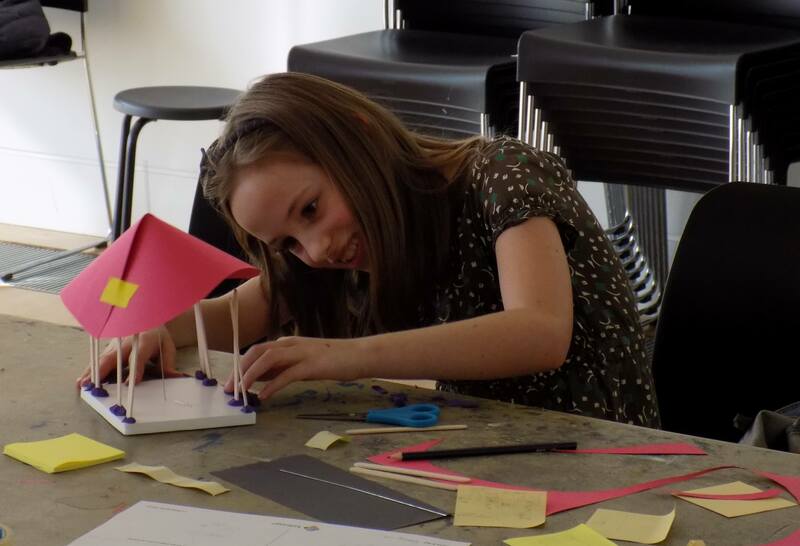 Budding Bexhill architects building future Pavilions.